Homeopathy offers an excellent option for couples seeking assistance with infertility or trying to become pregnant by stimulating the body’s own innate healing ability with gentle and powerful results. 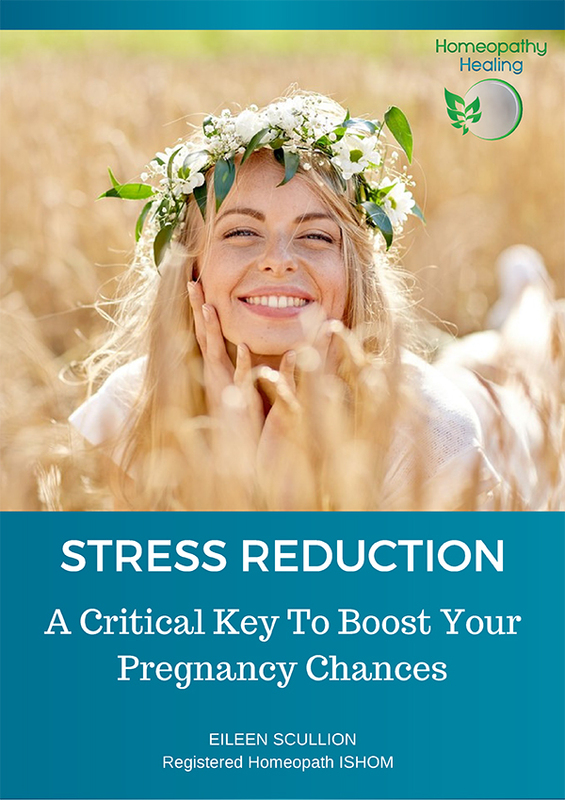 Homeopathy can help a person deal with the stressful emotional issues surrounding trying to get pregnant. Homeopathy can help release and unblock emotional problems, traumas or unresolved thought patterns that may be affecting fertility. Homeopathy can help stimulate the body naturally to regulate and balance hormones, menstrual cycles, sperm count and motility, and enhance ovulation. Homeopathy takes a holistic approach to health when helping a woman with conditions such as PCOS, endometriosis, cysts, fibroids, etc. Homeopathy can offer a support physically and/or emotionally for those undertaking fertility treatments such as IVF or IUI. If you would like to find out if I can help you please feel free to give me a call on 086-0891037 , (Int +353 86 089 1037) email me at eileen@homeopathy-healing.com Or book your FREE from Infertility to Motherhood Discovery Session today.